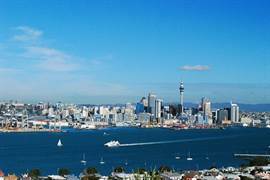 Auckland is one of New Zealand’s most popular cities to visit, and its reputation for high prices extends beyond just houses. Fortunately, we have put together 40 money-saving tips for Auckland to help cut the cost while maximizing your experience. Know something we don't? Tell us! As this is the first release of this guide, we welcome any tips. Please email our team with anything you'd like to share. It is $29 for one adult to visit the Sky Tower, but you can dine at the Orbit restaurant with a minimum spend of $30 per person and enjoy complimentary Sky Tower admission 45 minutes before and/or after your dining experience. So this means you can go to the viewing platform before and after eating. 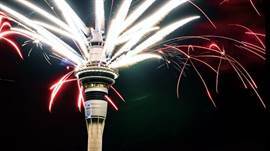 We think this offers fantastic value and a better experience than just doing the Sky Tower visit by itself. Don’t waste money on a taxi if you’re alone, travelling as a couple or with your family – the 24/7 SkyBus gets you into Auckland from as little as $16 each way for individuals and $32 for two adults and up to four kids. Buy in advance to maximise savings. Taxis can be an eyewatering $100+ each way, so the bus is always going to save the most. It’s widely publicised Auckland has a housing crisis, but it also has a hotel shortage. If you’re thinking of staying in the CBD, hotels start from a staggering $175+ a night. However, you don’t have to stay miles away from the action to save big. Airbnb offers 5-star reviewed rooms from $65 a night throughout the CBD. Auckland’s inner city suburbs are a lot more attractive than the CBD and offer cheaper even better value Airbnb experiences. Newmarket and Ponsonby are hubs for shopping, and Takapuna is close to the city and by arguably Auckland’s finest beach. Or try harbour bridge-fronting Northcote and Ponsonby. With prices well below hotels and the convenience of free parking, Airbnb makes Auckland that little bit cheaper to experience. If you’re planning to be in the city for an extended time during the summer months of December and January, consider the University of Auckland’s central city accommodation options. Hostels are located all over Auckland. All of them are rated by Booking.com, Tripadvisor and/or the BBH guide so you know what you’re getting before you book. Popular well-rated options are scattered across the city, most of them close to public transport options. If you’re going to be in Auckland for at least 2-3 days, the Auckland Transport (AT) HOP Card may be worth the $10 (non-refundable) investment as it saves up 35%-50% off all local transport. For example, a ferry to Devonport is $6.90 from the counter or $4.80 with an AT HOP card, so a return trip saves you $4.20 already. You can top up the card throughout Auckland and get any leftover money refunded to you when you leave the city. The AT HOP card saves you buying “paper tickets” and you won’t need to carry cash to pay for fares either. There are no peak and off-peak fares, so travel whenever you want for the same price. Kids under 5 travel free, and kids between 5-15 get cheap fares but you’ll need to register with Auckland Transport first. Auckland is the city of the $10 bottle of beer and $12 glass of wine. Going out and wanting to sample local flavours may end up costing a lot more than you expected it to. Thankfully, Auckland has plenty of BYO restaurants. This BYO list from VIVA Magazine highlights the ones they consider to be the best, but you can also do a Google map search. 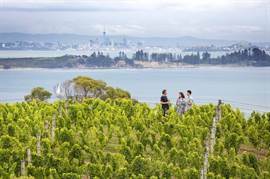 Supermarkets and wine shops all over Auckland sell quality New Zealand wine for $9-15 per bottle. MoneyHub reader David writes “I always go to my favourite BYO when I come to Auckland. It’s a great place to catch up with friends and not leave with a huge bill. We can be there all night and there’s even a wine shop over the road. It makes for a good night out”. Forget creamy curries and bad Chinese, Auckland knows how to do foodcourts. The Ponsonby International Food Court and the Atrium in the CBD are two examples of places where you can have a fantastic lunch or dinner for around or little more than $10. The selection at both of these establishments is enormous and locals chow down on a regular basis. First off, Groupon offers year-round dining vouchers, as does Grabone. Secondly, lists like best eats under $15 and Metro Magazine’s best cheap dining help pick the perfect place. Also, check out our Kids Eat Free page which offers additional value. 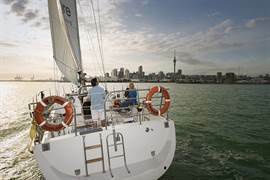 $120+ for a family to do a 1.5 hour harbour cruise is big money, but you don’t need to spend even a fraction of that to get out into the Auckland water. 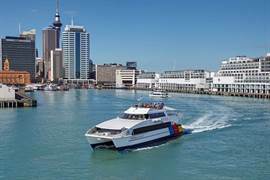 Return ferries to Devonport cost dollars and go frequently. From there you can climb Devenport’s volcano (Mount Victoria) and see 360 degree views all over Auckland, and the kids will love the adventure. Best of all, it’s free. The popular Auckland free walking tours collective leaves from Quay Street (Viaduct) 10am daily, and 2pm Thursday to Sunday. There is no better way to explore Auckland than on foot, with plenty of regeneration areas and green spaces to take your interest. If you’re in Auckland for a sports event at Eden Park, Mt. Smart Stadium, Western Springs Stadium or the QBE Stadium then work out well in advance how to get there. Auckland’s roads can get gridlocked at a moment's notice, so plan in advance and arrive early with a backup plan just in case. This will avoid last-minute taxis, ubers and the stress of being late. If you’re coming as a group, it’s almost certain that renting an entire property from AirBnB or a similar site will save significant money. You’ll get more space and can save money on restaurants if you’re willing to cook. For example, we found a two bedroom apartment in the Quadrant (beside the five star Pullman hotel) for $150 per night, sleeping up to six people. The Pullman, which offers rooms for two people, charged $300+ per room per night. The more people joining you, the cheaper per room your accommodation will be. 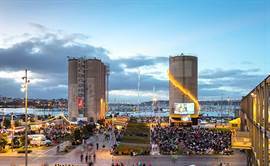 The Silo Park Cinema has scheduled free cinema throughout summer. Many are blockbusters and the atmosphere is family friendly. Parking can be expensive in Auckland, but there are several ways to cut the cost. Firstly, you can park in the CBD at the weekend for a lot less than during the week, and on Sunday certain areas are free (see “Zone 2” on the Auckland Transport map). Check out Parkopedia for daily prices on parking around the city. Don’t park in a retailer’s car park after hours if it says “clamping zone”, “tow-away zone” or anything similar – it’s not worth the risk. It may be 2am but someone may be watching the car park and within seconds of leaving your car it will be towed. Don’t overstay a warning – if it says “90 minute tow-away area” or “misuse of parking is clampable” then follow that. If you’re unsure, take photos of your car parked – it sounds paranoid but it will time stamp your car if there is any dispute later. ​Visit HALF of the top 30 attractions on Tripadvisor, for free! Explore the beautiful Tiritiri Matangi Island (#4), Waitakere Ranges (#6) or cruise on the Hauraki Gulf (#7) and Waiheke Island (#8) for free (you’ll just pay ferry costs*). Closer to the heart of the city, Cornwall Park (#9), Mount Eden (#12), North Head Historic Reserve (#15) and One Tree Hill (#19) make for excellent visits. 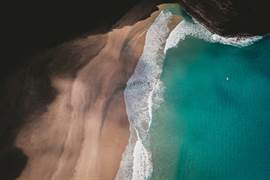 Further out but recommended are Bethells Beach (#16), St. Helier's Bay (#17), Devonport (#18) and Takapuna Beach (#23). And right in the city you have the Viaduct Harbour (#21), Auckland Art Gallery (#29) and the Auckland Domain’s Winter Garden (#30). *Fullers offers an excellent package for return ferry and hop-on hop-off bus for $60 ($30 for children). See more details here. There are many cinemas all over Auckland, ranging from the quaint neighbourhood-types to the massive multiplexes. 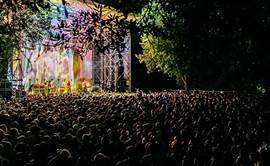 Helpfully Flick.co.nz outlines where and what days are best for getting tickets for as low as $5. The events listed above are very popular and they can get busy. To make the most of what's on, you'll need to spend some money but all of the events listed above are free to attend/watch. ​Coming to Auckland for your birthday? Claim your free stuff! You are entitled to quite a lot. GeorgeFM has put together this massive list that highlights a fantastic array of freebies. Examples include free vouchers for bar and restaurant spends, free meals and free drinks. Check to see that what you like still applies as the list was last updated in February of 2017. Auckland public transport is fast and frequent during the day, but it’s important to know that after around midnight everything pretty much stops running. If you need to get back over the harbour bridge, you’ll need to plan. UBER and similar apps offer cheap rides, with ride-sharing an option to save even more money. Forget paying $100+ a day for some corporate/branded rental car. Auckland is one of the largest rental car markets in the southern hemisphere and prices are ferociously competitive. Price comparison websites like Kayak Car Rental reveal the cheapest companies. You may also be able to get a cheaper deal if you contact companies directly – it’s worth a shot. Sample dates we plugged in gave us NZ$20-25/day rentals which is a great deal for what you get. Waterfront Auckland offers free bike-hire letting you explore the Waterfront area and beyond by bike. With two kiosks located around the viaduct, rental is free for the first two hours. After that, it’s $4 an hour to a maximum of $20 for 24 hours. A registered rider can rent up to 4 bikes at a time so it is easy for groups to hire together without having to each pay the $4.00 registration fee. You can pick up cheap flights to Auckland, especially from Wellington, Christchurch, Nelson, Queenstown and Dunedin. Check out our guide to domestic flights which has everything you need to know to save the most on flights, perfect for your Auckland visit. Auckland has some fairly impressive playgrounds. 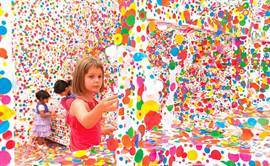 Auckland for Kids has put together a “Top 10” list, with 2-3 located in the CBD. If your kids need to burn off some energy, the list has a playground in all four corners of Auckland. Out-of-towners speak well of Auckland's outlet shops and the Dress Smart mall. The Urban List has several popular shopping options in this niche guide, mainly aimed at females. 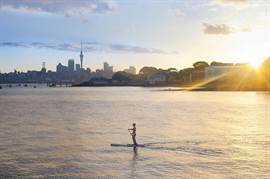 Auckland is the city of beaches, but many visitors don’t make it outside of the CBD. There’s no reason to stay in the central city when wondrous waves await. 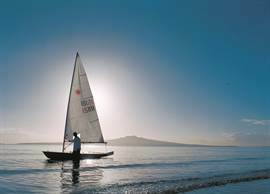 You can drive or easily take a bus out to the iconic Mission Bay, the premier east Auckland beach. But the North Shore beaches are often overlooked by visitors. Takapuna beach is an easy drive or bus trip, and if you want something more off-the-tourist trail it’s worth considering Long Bay (with ample walking trails) and Browns Bay (a beach suburb with a popular town centre). Take a towel, some sunscreen (read our guide for the best and cheapest) and something to eat and drink for a great day out. Auckland City Limits, Cirque du Soleil and Ed Sheeran are just some of many events that hit Auckland. When you book your tickets, get on to flights and accommodation quickly. Auckland can get very busy when these events are on and sorting out a place to stay could get more expensive the closer you get to the event. If you’re heading for a day of roller coasters and rides at Rainbow’s End, you’ll save $4 per ticket by buying them in advance rather than at the gate. If you want entry but don’t plan to ride, you can leave the kids to it and save around 70% on your ticket price with a “spectator pass”. Check out the ticket prices here. Auckland may get its fair share of foreign visitors but you don’t need to tip, although no one is going to shy away any generosity. Service won’t be added on to an invoice, unless it’s a public holiday whereby it will be (or should be) displayed that there’s an extra service charge. 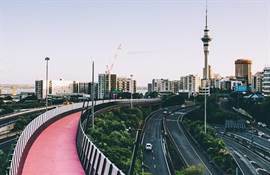 Suggested walking routes can be found online, but the newly launched Lightpath and Nelson Street Cycleway offers a different vantage point of the city. Some stretches will need a bike, but you can rent these for free (see point 24). Auckland's surrounding neighbourhoods have a lot of diversity, from Ponsonby to Parnell or Grafton, Kingland and St Mary's Bay. 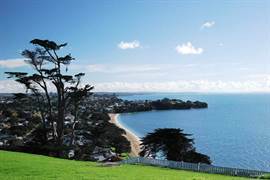 East or West, North or South, the Auckland region has so much to offer. But you will most likely need a car to explore it. 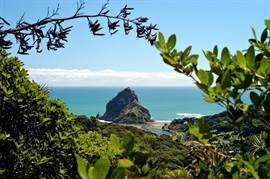 Iconic Piha beach is around 45 minutes drive from the CBD. 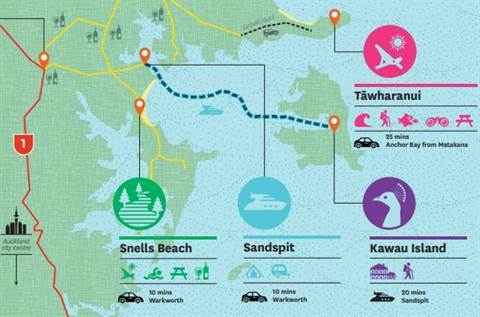 You can head into the north of Auckland in less than half and hour and find yourself stopping at beach after beach. 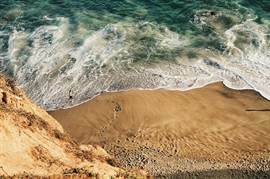 Download a PDF map (see Tip 35. below) for the details on popular beach and nature options outside the CBD. Auckland had a record-temperature summer in 2017/2018, so if you are visiting during December, January or February, aircon may be a good idea if you don't like sleeping in unbearable heat. Air conditioning isn't a feature of many Auckland homes or apartments, but most hotels offer it. It's well worth paying a bit more to secure a place with aircon so you can sleep without worrying about the uncontrollable heat. Auckland Council offers a number of maps which highlight a number of areas in the city and to the north and south along the coast. They are in PDF form and can be useful if you're planning to travel outside of the CBD. The northern coast beach section is particularly useful. You can also pick up a free Auckland City map from most tourism businesses along Quay Street and around the city. Auckland city is filled with convenience shops, but with sandwiches north of $7+ it's much cheaper to head to a supermarket. Fortunately there are a few in the central city - Countdown Auckland City (76 Quay St) is open 24 hours, and the New World Metro (125 Queen St) and Countdown Auckland Metro (19/25 Victoria Street West) have decent opening hours. All of these supermarkets offer an excellent range and have takeaway food options. Promotions running in 2017 and 2018 included a $20 credit towards a ride or similar. Search for a code using our suggested search term and get the app installed. You will need a credit card, EFTPOS/debit card or Paypal to use UBER. The free credit is deducted from the total price of the first journey you make with the app. 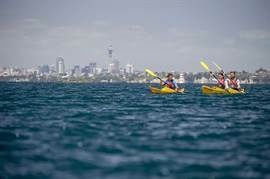 Auckland's population make it a perfect place to explore a range of activities, and the Auckland Meetups website includes groups for hiking and walking, outdoor adventures, tech and startups, cycling, tennis, TED-style talks, meditation and hundreds of others. You can search using the calendar - many events are free and it's a great way to feel more connected to the city you are visiting. While most of Auckland's museums charge entry fees (unless you have any form of proof that you live in Auckland), the excellent and centrally located Auckland Art Gallery has free exhibitions year-round. The gallery is buzzing seven days a week, and there is a popular cafe. Located just near Albert Park, if there's a children's exhibition on then it makes a perfect place for a couple of hours. 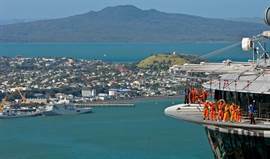 ​At 220m, the SkyTower commands Auckland’s best views, but thanks to the city’s volcanoes there are several free alternatives with great views. These include Mt Eden (196 metres), the expansive Auckland Domain and iconic One Tree Hill. Crossing on the ferry to Devonport takes you to Mount Victoria which has the best ocean views.